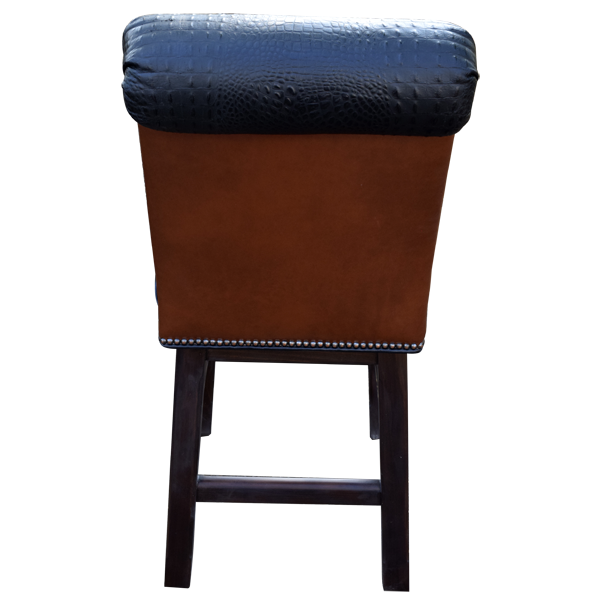 The contrasting colors of the upholstery of this handcrafted bar stool compliment each other to create a beautiful harmony of colors. 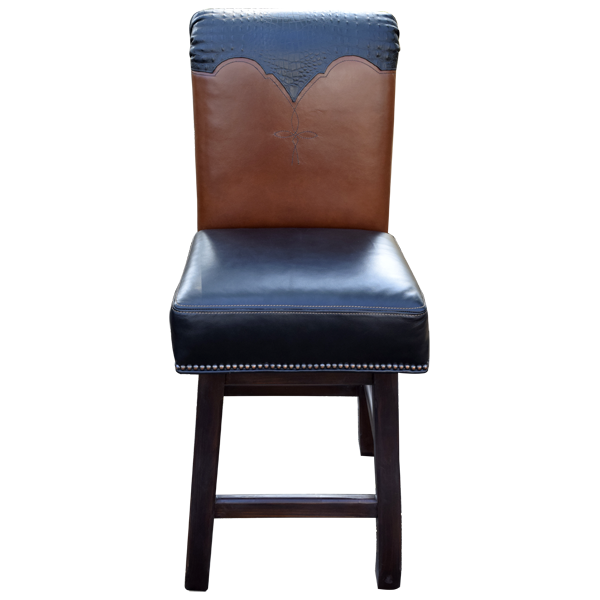 Its high seat back and long curved legs give the bar stool a refined look. 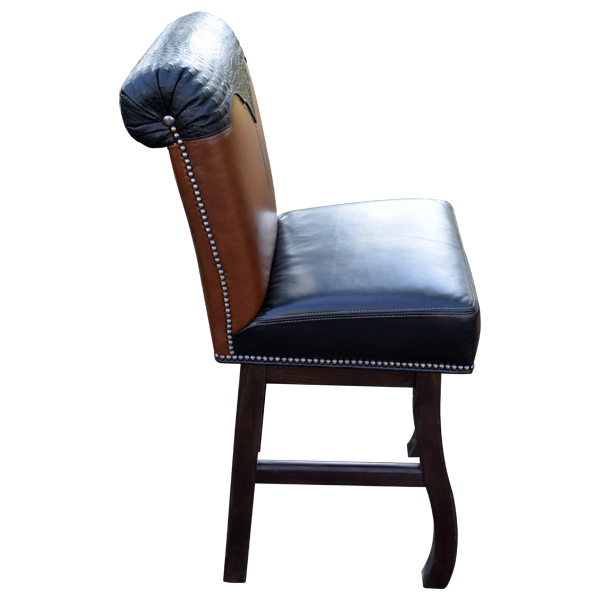 The seat is upholstered in gorgeous, blue full grain leather, and the seat back is upholstered in natural full grain leather and contrasting blue full grain leather. 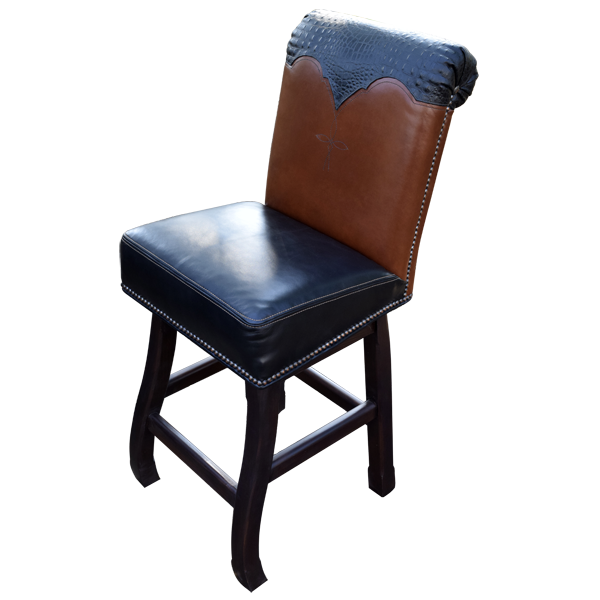 The bar stool has splayed back legs and beautifully curved front legs, joined by a box stretcher. The upholstery is hand tacked with precision to the entire wood frame by our skilled craftsmen. 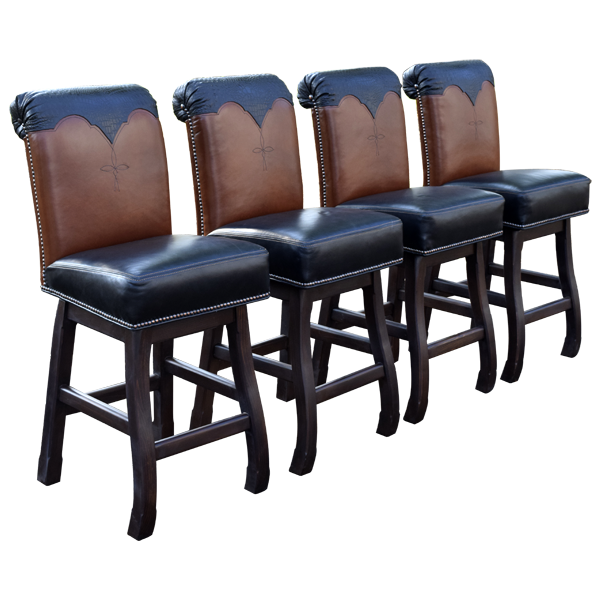 Beautiful and durable, the bar stool is made with the best wood available. It swivels 180° and is 100% customizable.